This article first appeared in The Edge Financial Daily, on January 22, 2018. KUALA LUMPUR: After about four years of research and development (R&D) and millions invested, home-grown electrical distribution maker Mikro MSC Bhd has launched its Internet of things (IoT) solution or a connected system feature that allows monitoring and communication between machines, providing information and data that would be useful for early detection of abnormalities or possible malfunctions. This is expected to be a fresh earnings growth driver for Mikro MSC. The company will see a positive impact on its bottom line by the financial year ending June 30, 2019 (FY19), according to the group’s managing director (MD)and its largest shareholder, Yim Yuen Wah, who owns about a 34.2% stake in Mikro. “It will need to take some time before we could see the impact from the new feature. We expect to see the bottom line to benefit from the new features by FY19. “It’s something that we are looking forward to as it helps our customers better manage their projects,” Yim told The Edge Financial Daily in an exclusive interview after the launch of the IoT solution last Friday, in conjunction with the group’s 20th anniversary dinner. It is worth noting that Mikro MSC has seen a consistent growth of its top line and profit over the past five years. The company’s net profit grew at an impressive compounded annual growth rate (CAGR) of 18.65% to RM10.9 million, while its revenue has recorded a CAGR of 12.42% to RM50.4 million over the last five years. The group’s executive director, Fong See Ni, explained that the new IoT solution would be a preventive solution for its consumers, as the real-time data and information collected could indicate if there are any possible defects. “For example, if the heat being released is more than usual, it could be an indicator that some parts have aged or need replacements. This helps avoid any disruption to our customers,” Fong added. Yim shared that one of the key drivers for the group in ensuring its future growth is through R&D, which resulted in the launch of its new feature and solution. He pointed that the group has consistently allocate about 3% to 4% of its revenue to R&D and will continue to do so moving forward. In FY17, the group invested about RM1.82 million in development, which was about 3.6% of Mikro MSC’s revenue of RM50.4 million. Mikro MSC is in the midst of moving to a new factory. “It has taken longer than we expected to move to the new factory due to some approvals [that needed to be obtained]. Nonetheless, we are looking to complete the move by the first half of this year. “Once all the new machines and automation are set in the new factory, they will also help enhance the efficiency of our operation. All these will eventually add to the bottom line moving forward,” Yim said. Nonetheless, FY18 kicked off with lower earnings despite the continued growth in the past few financial years. The company’s net profit declined 17.5% to RM2.5 million for the first financial quarter ended Sept 30, 2017 due to the expiry of its pioneer status incentive. 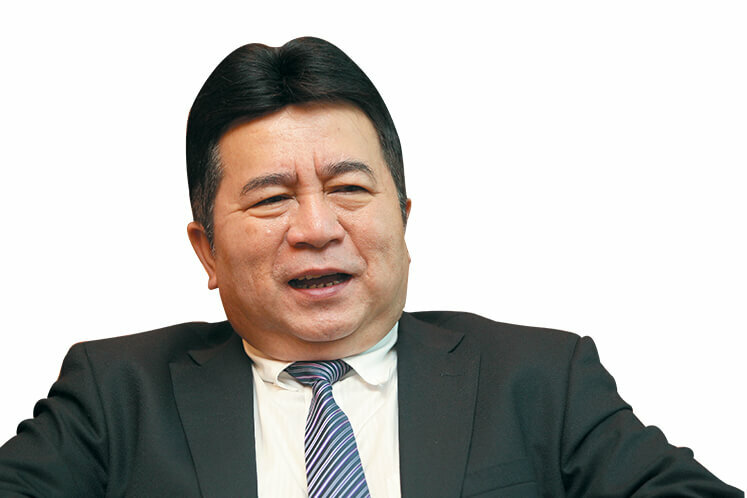 Yim agreed that there will be some impact on Mikro MSC’s profitability from the expiry of its pioneer status incentive as well as the stronger ringgit but he is optimistic that Mikro MSC could maintain its profitability. For FY18, Yim stressed that the plan will be to expand Mikro MSC’s footprint in the region with Vietnam and Indonesia being two of the target markets. The booming construction sector in the Asean market will benefit the group as its products are typically installed in high-rise buildings and other infrastructure works. “We have an internal target to grow our exposure in Vietnam as well as Indonesia, which is still just a small part of our portfolio in FY17. Laos is also another market that we are starting to get into. Of course, all these will take time for us to grow and will not be immediately reflected on our sales and profitability,” he added. In FY17, the group’s exposure to Vietnam was at 24.8% of its total revenue, which is a significant improvement from 8.4% back in FY13.